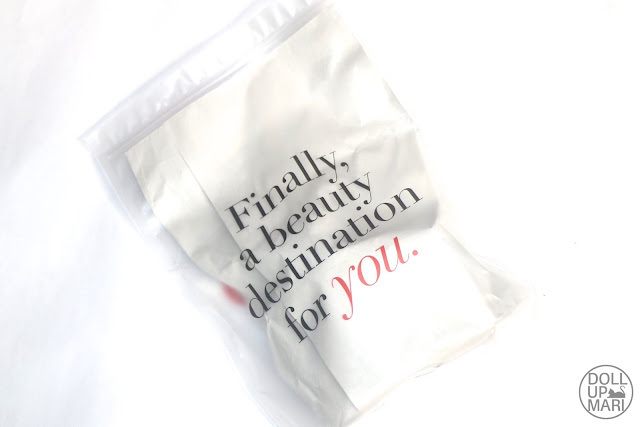 In the advent of online shopping, I am generally happy that more and more sites are springing up that make beauty shopping for the Pinay much easier. Remember the days when it was sooo hard to get beauty products? Like if the product couldn't be found in malls, it basically was virtually nonexistent in the minds of consumers? Online shopping has really changed the way we discover, perceive, and try all sorts of brands. I am happy to be doing a mini post about BeautyMNL today! The site has been floating around since last year, but I think it's this year that the site has really gained traction amongst local beauty junkies. I actually knew of this place while I was interning in Unilever as my boss was like "oh let's put our new product in BeautyMNL." Before him saying that I didn't know that the place existed! But now they are among the key trade partners of most beauty brands in the country. Shopping wise, I immediately felt the impact of shopping local as my items came in a day! A DAY!!! I was promised 2-3 days, but like the Wednesday I placed the order in, the following day, the items already came! You will never experience this with foreign shops, and as far as online resellers go, the minimum is 2 working days after you pay. I really like all these shops that make online shopping soooo much easier. I forgot to mention how much I hate going to the post office for packages, so any online retailer that can get me a good mix of foreign and local brands without making me leave the house is a total winner. So this is the bag that the items came in. I was told by family that they seem to have their own delivery team and do not merely send out via courier. It was so nice to get items in one nifty bag without having to go through any bubble wrap. It adds so much convenience that all you need to do is open the ziplock bag to get your items directly. And by "directly," this is what I mean. The items are poised inside and there's no more unwrapping to do. And so yaaay, lemme talk about the items that I got! 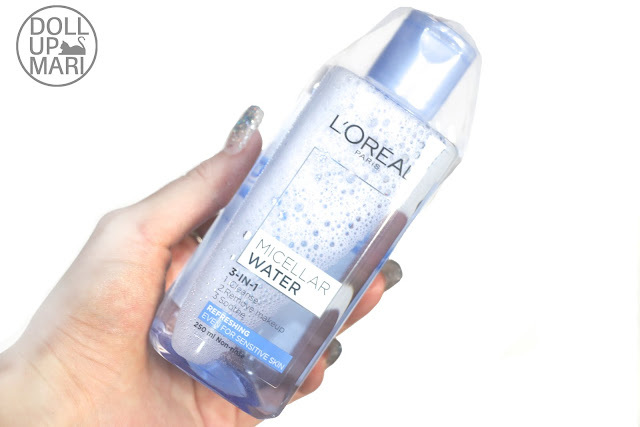 For one I got L'Oréal's Micellar Water. I have heard many great things about this! I was unfortunately unable to attend the press launch so I took advantage of the flash sale on the website instead. I got this for Php199 instead of the SRP of Php225. I also took the time to get myself some falsies. 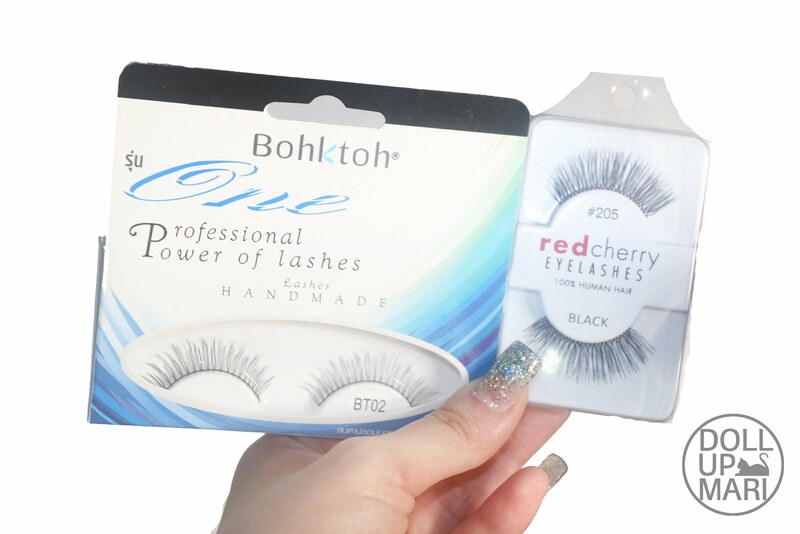 I have long been admiring Red Cherry and Bohktoh lashes from afar but have always been afraid of buying them because there are a lot of fakes everywhere. Everyday I see people tell on stores who sell fake ones of these two brands. It's not hard to find them in malls or bazaars, but it's the fear of getting a fake one that's been stopping me. I thought I'd get them from BeautyMNL because at least I can be sure that they are selling the real ones! I have recently been into glamorous lashes but with thin hairs or sparse positioning of hairs, hence the choices. I used to like the super dramatic ones with super long and thick hairs, but I kinda realized that using such styles put all the focus onto the falsies rather than the actual eye makeup. And coupled with the fact that I don't have deep set eyes, dramatic lashes are sometimes too long and too overpowering on me. So that's why I got similar looking lashes from each brand. This is a pair of Bohktoh BT02 lashes that I got for Php160 and Red Cherry 205 lashes for Php160 as well. I am not sure of the actual retail prices most sellers sell these for and I'm not sure if this counts as expensive or cheap, but all I care about is at least I'm sure they're authentic. Last thing I got is NYX's Eyebrow Gel. 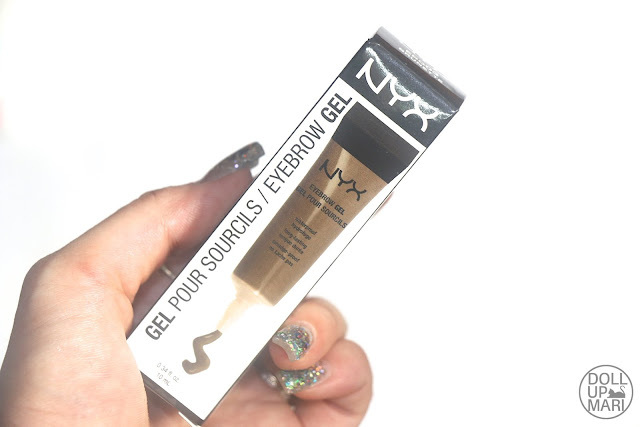 I have been hearing so many good things about NYX's eyebrow pomade and gel that I thought I'd try them. I've been trying to buy the pomade in store but the dark shades have been out of stock for quite some time now. The pomade also doesn't appear to be in the website so I got the eyebrow gel instead. I thought to myself that at least the dark color is available (but well that was at that time the Brunette shade is also sold out as of this writing in the site)! This has long been touted as the ultimate dupe to MUFE's Aqua Brow so this better be good hahaha. I am generally very happy about things went. Shipping was so fast and I got the items in very convenient packaging. I personally like the fact that I can be sure of getting authentic items on the site for items that are pirated often. There are too many fakes in the makeup world that it's not easy to study how to spot a fake for every single item. There are a lot of brands that can be shopped in malls, but for the high risk brands I like that there's BeautyMNL for that. I am also happy that they have innisfree and 3 Concept Eyes, plus the fact that they are already adding Too Faced and Colourpop into the mix. It helps to be able to get foreign brands without local representation with such ease. And the timeframe is crazy! Now I can finally name a site that people can order rushed gifts from (assuming you know the address of the recipient). Plenty of sites selling foreign wares can't be relied on for gift giving due to the time frame, so I think that this is one competitive advantage of the website. So yaaaaaay, till the next shopping spree!